Our final itinerary for our ultimate 10-day trip around the northwest of Panay Island ended in the Municipality of Pandan, Antique. We’ve been to Mararison and Tibiao prior to this. It is just about two hours’ drive away from the Philippines top tourist destination, Boracay Island. Going to Pandan, Antique can even be just a day trip from Boracay. But, then we decided to spend an overnight there after considering the ambiance and activities in the place. 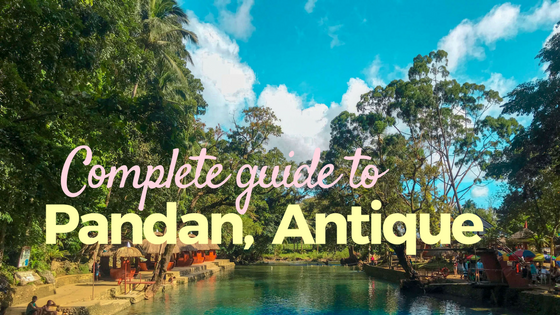 Hidden behind the simple town of Pandan, Antique are, among others, two mysterious blue lagoons, and a calm headspring with clear jade water. The headspring then supplies water to the cleanest river in the Philippines, the Bugang River, as well as other interconnecting subterranean rivers flowing through five Municipalities, which includes Pandan and Libertad, both in Antique Province, and Nabas, Buruanga and Malay, all in Aklan Province. Read more below to find out how to get there, where to stay in Pandan, and what you can expect. If you will be coming from Caticlan, you can ride a bus going to Iloilo or San Jose Antique via Pandan, Antique. Bus Terminal can be found near the Caticlan jetty port. Bus fare cost around P53. Travel time may take more or less 45 minutes. Drop off point will be at Pandan Terminal where you can then take a tricycle going to your resort. As for our group, we chose Pandan Beach Resort. From Pandan Terminal, the said resort is only 15 minutes drive away. Compared to Caticlan or Boracay Airport, flight fare to Kalibo International Airport is much cheaper. For those who are not familiar, Caticlan and Kalibo are both located in the province of Aklan. From Kalibo International Airport going to Pandan Terminal, travel time may take more or less an hour. Bus fare is only around P80 per person. If you will be coming from Iloilo International Airport, just take a van going to Molo Terminal. The fare may cost around P50 per person. In the Molo Terminal, you can ride a van or jeep going to Antique via Pandan. It may cost you more or less P110 per person. Travel time may take around four hours. Capiz doesn’t seem to have a direct public transportation going to Antique. An option you’ll is to take a bus or van heading to Kalibo. Once you’re in Kalibo, you may then take a public transportation heading to San Jose, Antique via Pandan. 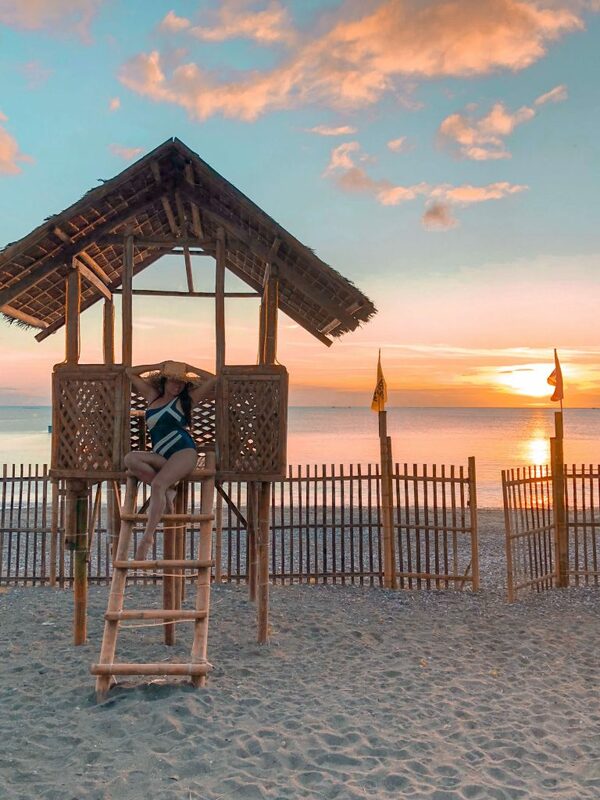 Pandan Beach Resort is the only beachfront resort in the Municipality of Pandan. Here, they offer shared rooms, standard rooms, and air-conditioned rooms. Overnight rates range from around P250 to P2,500 per head. Each room has television, bathrooms, and view of the sea. I loved the couch on the veranda of our room. It feels very homey and very Instagrammable too. It was a perfect chill and relaxing area. I thought that this is just the perfect base to end our 10-day trip in Northwest Panay Island is in here. Plus, I got to meet Luna, the dog, who was a darling. Free Wi-fi is available in every room and in common areas. Other facilities you can use are beach volleyball area, karaoke rooms, barbecue area, business center and massage area. Also, Pandan Beach Resort can assist in arranging your day tours and shuttle service. 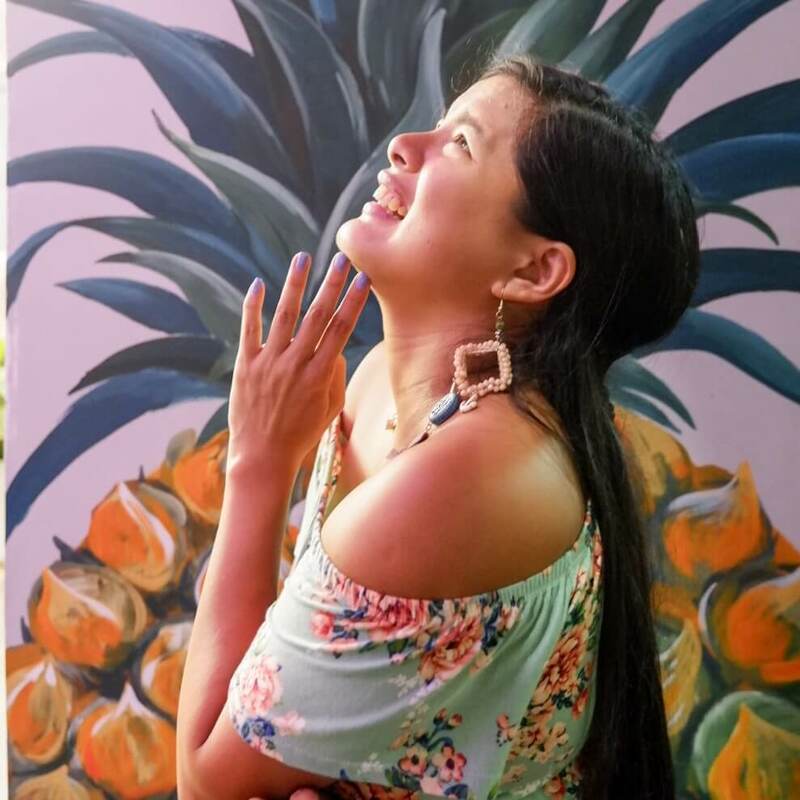 Marquessa’s Bistro is their in-house restaurant that offers local and international cuisines. Here, I suggest that you try their Spareribs. It was super good that it falls off from the bone and easily melts in your mouth. Pandan Beach Resort arranged for us a service van to transport us to two of the main tourist attractions of the Northwest Panay Peninsula Park. Road improvement and other improvements have been made in this area in order to promote this as a tourist destination. This complements the Boracay tour packages. 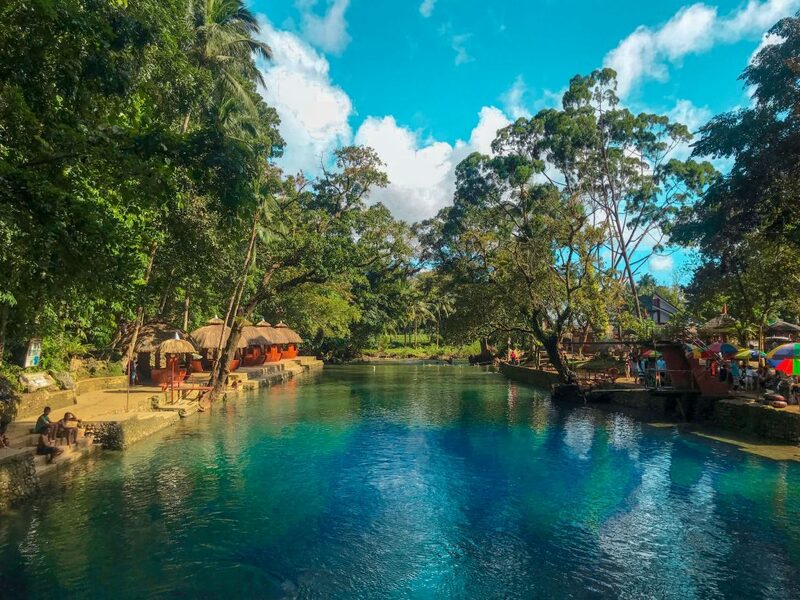 One of the main tourist attractions in Northwest Panay Peninsula Park is the Malumpati Cold Spring. Malumpati Cold Spring, sometimes referred to as Malumpati Health Spring, is originally just a shallow river. A concrete dam, spillways, and some refinement were constructed to make it deeper and maintain the natural flow of the water to the Bugang River. The pool is regularly cleaned and well-maintained by the Malumpati Cold Spring staff. So, you can notice the pool reflects the color jade similar to an untouched spring. 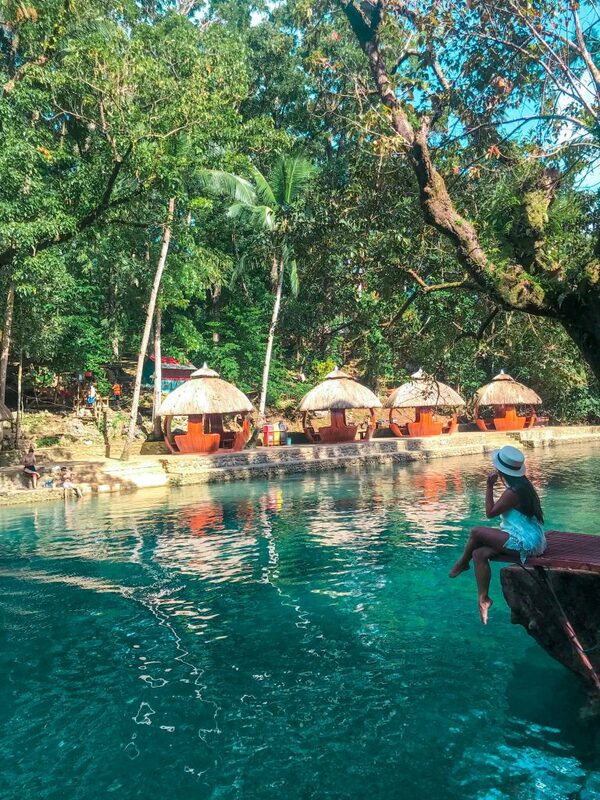 Aside from having jade-colored water you can swim in, the Malumpati Cold spring has picnic tables with chairs and an open grilling area. Guests are free to bring their own food. Cottage rental may cost around P100 per cottage. Entrance fee to the Malumpati, by the way, may cost around P20 per person. 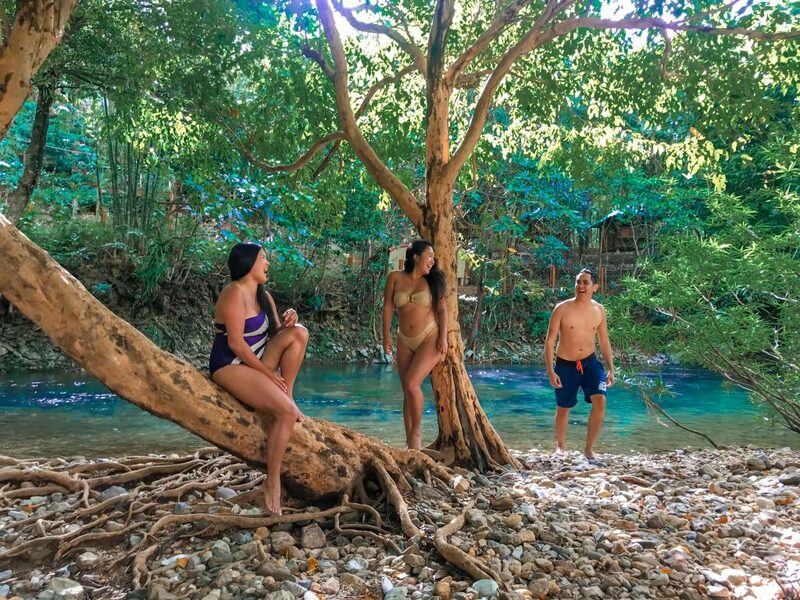 Another main attraction in the Northwest Panay Peninsula Park is the Bugang River. 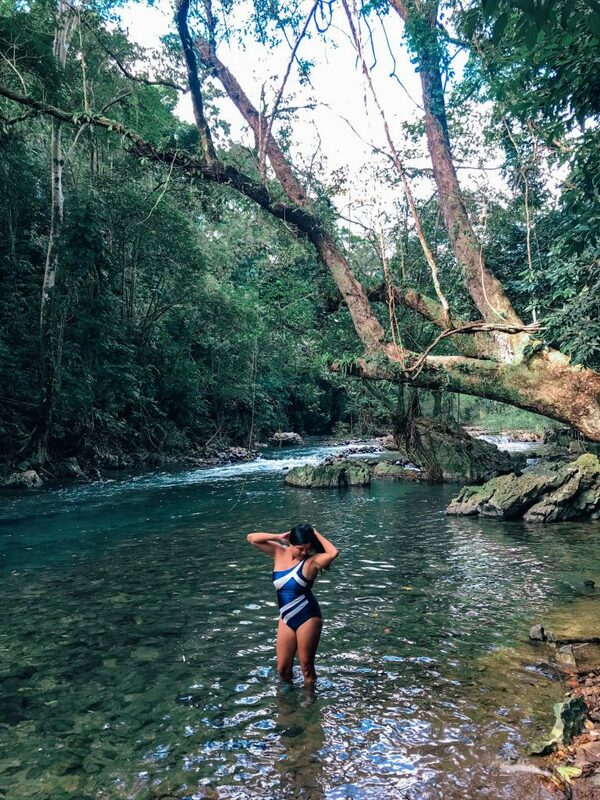 Bugang River is one of the cleanest rivers that can be found in the Philippines. You can best appreciate it through bamboo rafting or river tubing activity. The rental fee for the bamboo raft, which can carry a maximum of six persons, may cost around P2,000. On the other hand, the river tubing activity may cost around P350, which will include payment to your tour guide. Per one guest, one tour guide will be assigned. We picked river tubing activity. We only had a quick briefing on what we can expect then started to head to the Bugang River. We first crossed a concrete bridge. The bridge, by the way, serves as a mark that the pool area past behind the bridge is already a restricted area. From there, you can also see the pumping and filtration station, run by Pandan Water District, that supplies the water for the whole town. You’ll then pass by some kind of a shrine that shows the name of the donors, mostly Chinese businessmen, who helped improve and preserve the park. Photo by Edgar of Eazy TravelerWe then reached the registration and rest area. Here, we registered our names in the logbook for monitoring purposes and in case of emergency. Then, we started to take the actual trail going to the starting line of our river tubing activity. It was a very easy 15 to 20-minute walk through muddy and a bit rocky trail along the Bugang River and through some bamboo bridges. On a grassy plain, we have been briefed again on the proper way of balancing on the tube and other safety measures. We continued our trek and passed by an underwater field of lilies. It was surreal. Another surreal experience was seeing the “Blue Lagoon”, only a few walk from the starting point of river tubing activity. It was unbelievably beautiful as it reflects the sky blue color. It is believed that deep sediment makes the water sky blue. It still remains a mystery. Although it seems inviting to plunge into the Blue Lagoon, it was not friendly some years ago to a team of divers who intended to explore the depths of the lagoon. When they reached 40 meters deep, they were then greeted with unexpected strong undercurrents. The undercurrents are said to be coming from deep caves in lagoon walls. Blue Lagoon is not a designated swimming area. Also near the area is a smaller lagoon with sky blue water. Like the bigger blue lagoon, this one is still unexplored due to the mysterious and lethal undercurrent. Another mysterious fact related to the blue lagoon is that the elders of the Indigenous group Ati believe that the young tree roots living on the side of the lagoon, has healing powers. For this reason, the Ati elders harvest these roots and used them as a medicinal tea. We then headed back to the Bugang River to start our river tubing activity. Compared to our previous extreme river tubing activity, river tubing in Bugang River was more a relaxing experience. The guides used their flip-flops to paddle. They also had to push our tubes most of the time. Manmade dikes were constructed to create rapid currents. Some parts of the river were also made deeper. It was still nice especially considering that is it one of the cleanest rivers. Our river tubing experience in Bugang River was also like an educational field trip. We saw different plants and trees that are sitting in along the riverbank. You may even find a plant that you don’t usually come across. Our river tubing then ended at the Malumpati springs. 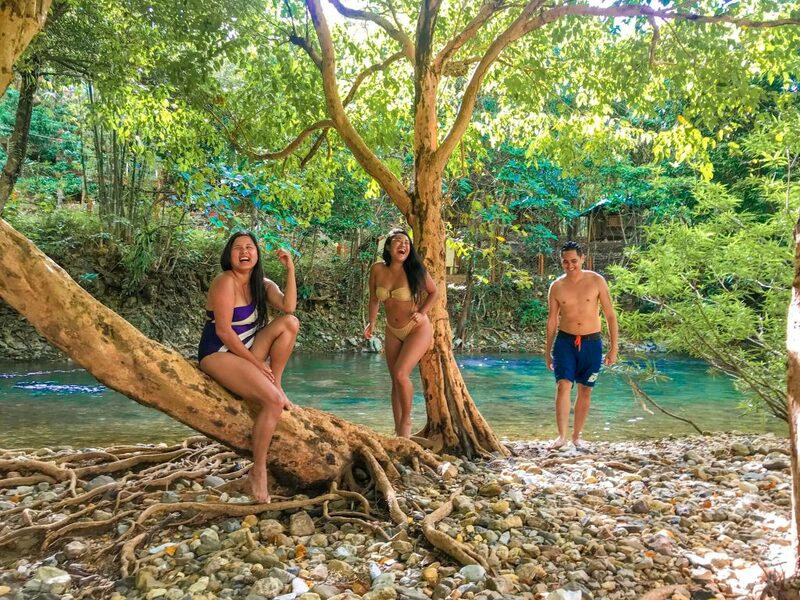 While our river tubing in Tibiao ended with a boulder jumping challenge, Malumpati springs will challenge you to jump on their diving ledge. 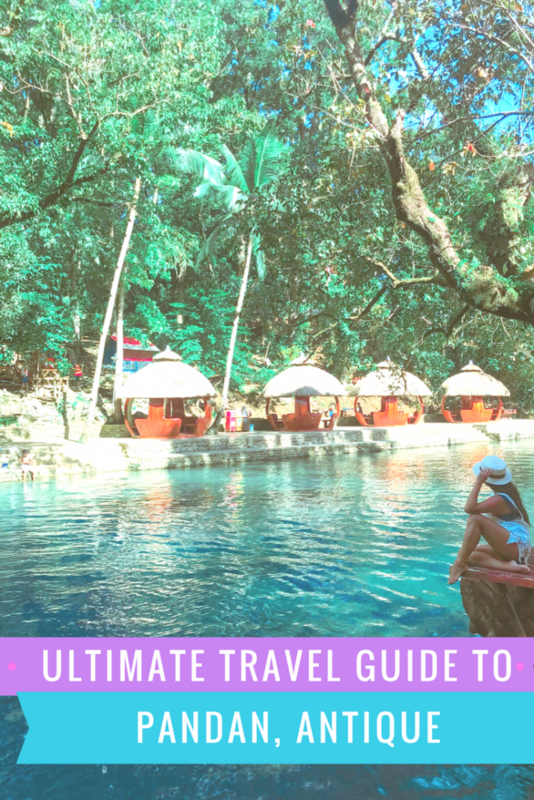 Finding a public transportation service to take you back from Malumpati Cold Spring to the Pandan town proper or to your resort can be a hassle. 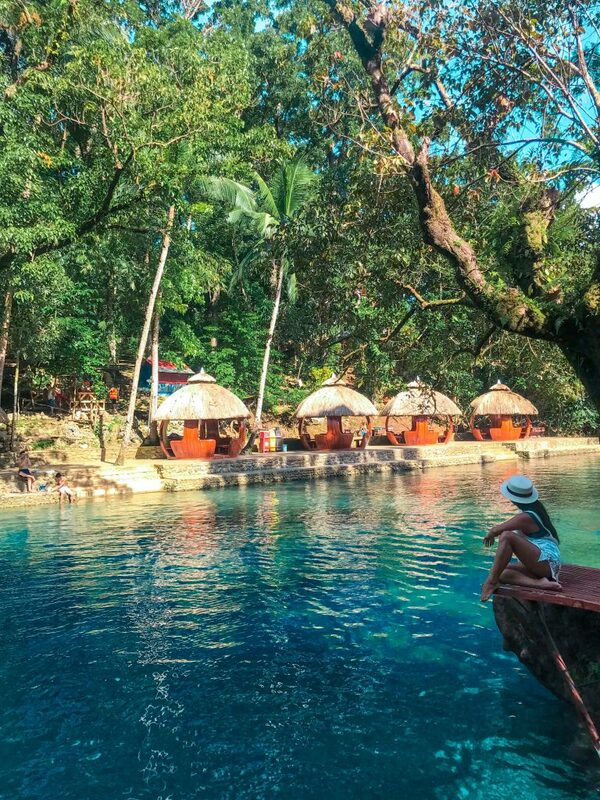 It is best to hire a service who can take you to and fro the Malumpati Cold Spring. Overall, Pandan, Antique is like a magical place which I once thought can only be found in fictional books. I appreciate the improvements made in order to elevate the experience of visitors. But, I most appreciate how the local Indigenous group Ati, as well as the other local residents, embrace new technology and modernity while preserving and protecting the environment and the creatures living in it. Thank you for visiting, Pandan! This is the hometown of my grandmother and we so happen to have a business in Malumpati and near the Bugang River. The shrine you pass by before the water district is actually to give recognition to the Japanese people who have helped establish the water filtration of Malumpati. I hope you can visit again soon so that you can see more of Pandan! I do plan to visit again. Do let me know, I’d love to see it too. I know there is more to explore. 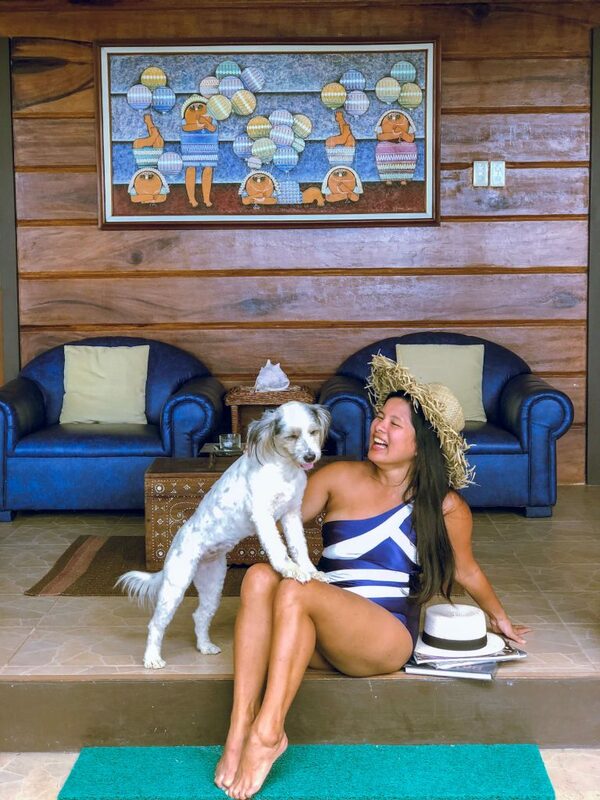 Pandan is our second home or our first home now that we are retired. 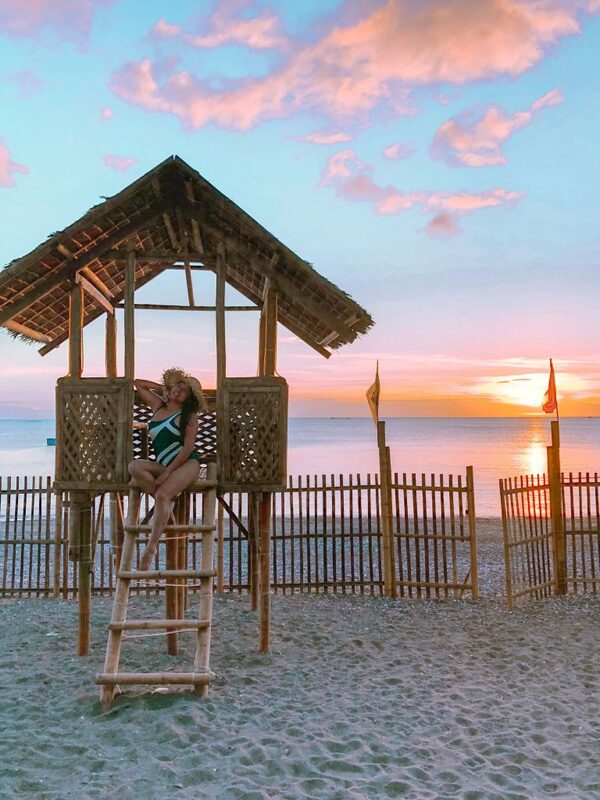 I can’t imagine living anywhere else than Pandan where everything is accessible- one hour drive to Kalibo International airport and 45 minutes to Caticlan. Friends from California love to visit Pandan and those who did want to come back. Thank you for featuring Pandan in your blog. Hi! Do you know if theirs a direct public transport going to pandan coming from buruanga aklan? Thank u for the info!